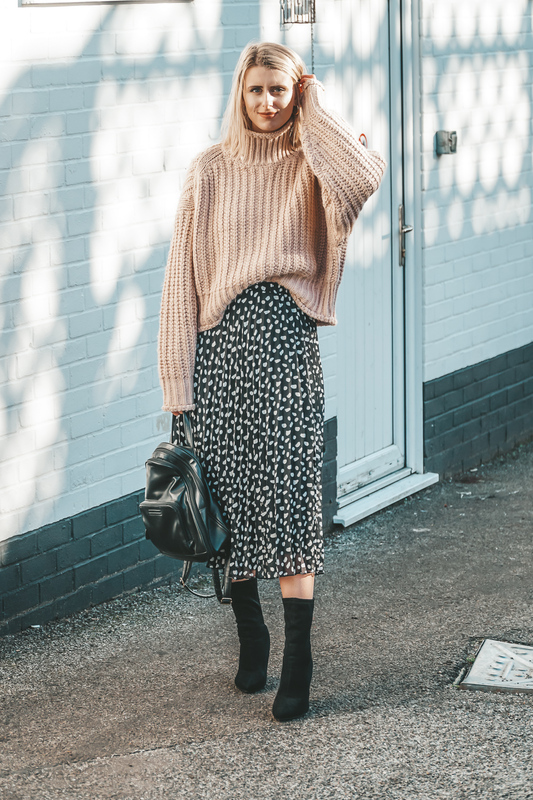 Midi skirts. I don’t think I’m the only one who’s built an unhealthy obsession with them in the last few months. I always used to be afraid of the midi – would it be too long that it looked like I’d grabbed it from my nans wardrobe? When do you wear them? Summer? Winter? Spring? And what the hell do you wear them with? 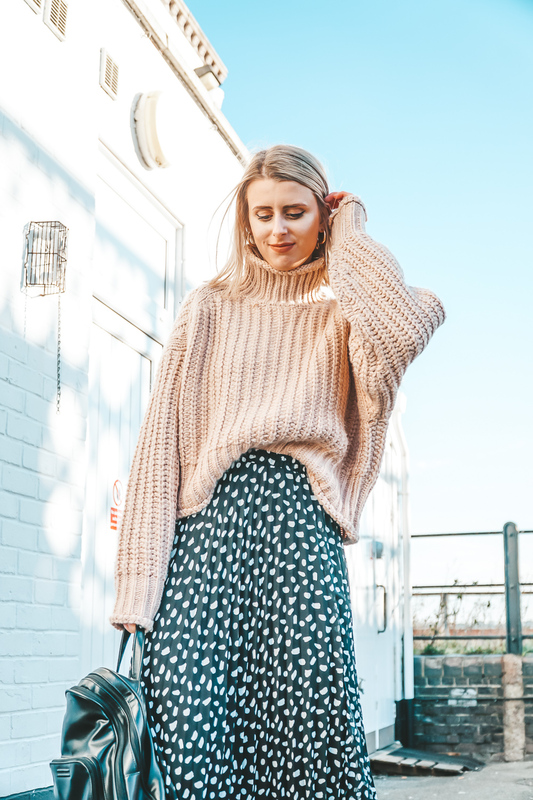 Those worries are no more though my friends, for midi skirts are in full-force on the high street, and my wardrobe is now overflowing midi’s in every shape and colour. My latest addition? This super cute pleated number from none other than Primark. 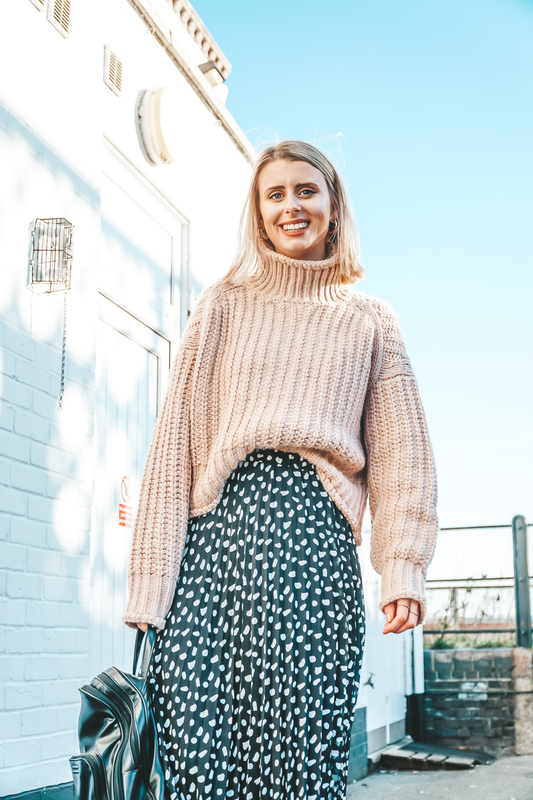 Black and white and polka dots, if you’re looking to start a midi-skirt collection, this would be the perfect one, to begin with. Monochrome is always an easy starter – you can pair it with any colour in the rainbow. Still not convinced? 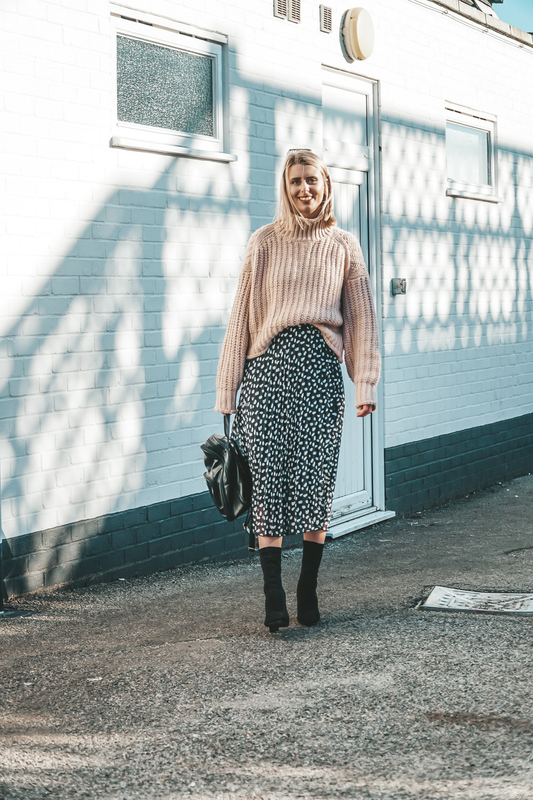 Here’s some of my favourite ways to style a midi. Dressed down? Pair it with some trainers and a classic tee. Or, if you’re in the depths of winter, pair it with the chunkiest knit you own like I have here. Although in this case I’ve paired it with boots, this would look just as cute with some basic white trainers, or even some lace up docs. There’s not much space to go wrong here. 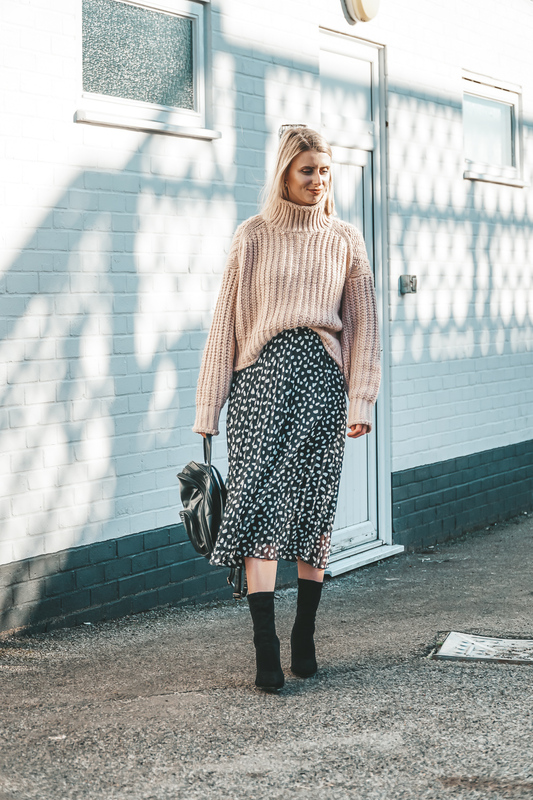 The best thing about midi skirts is that they’re so damn versatile. Swap your tee or jumper for a nice bodysuit, blouse or a high neck top. Trade in the trainers for some booties or some heels and you’re ready for a night out with cocktails. "Valentines gift guide: For her"
"This one is for you"